Steve Jobs could recognize the usefulness of market research, but he suggests it is not useful when the market is going through these non-incremental jumps. A similar mindset is found in an even stronger form in certain parts of the present-day startup community: it is often thought that it's better to just bring a product to market and see what happens, rather than rely on misleading market research that is incapable of envisioning the future. There is no doubt that many companies succeed by adopting approaches that do not involve much market research. However, this in itself is not a sound proof for ruling out the usefulness of market research, because we have no idea how many failed startups would have succeeded if they had paid more attention to the findings of market research. Instead of being based on a sound empirical argument, the plausibility of this argument seems to rest, in part, on a number of assumptions about what market research is, and how it works. When Steve Jobs spoke about market research, he was likely speaking about a particular kind of research. These are the surveys asking you to rate services on a scale of 1 to 10, asking you whether you prefer red cars or blue cars, or giving you complicated conjoint trees to determine if it is more important for you to get more product or lower prices. All of these studies depend implicitly on a principle of continuity: that your present opinions can be used to reliably predict your future actions. 1. The overall market will be the same in the future as it is now. This principle is reasonable in many situations, but Jobs proved it false when his teams introduced the Macintosh, the iPod, the iPhone and the iPad, each of which changed the markets in fundamental ways. Furthermore, it fails all the time in ordinary business practice: financial bubbles burst, companies that are on the top of the world go bankrupt a few years later, entire industries disappear. 2. A respondent's beliefs will be the same in the future. Closely aligned with the preceding principle, a respondent's views can change even if the other components of the market do not. Someone might be against sharing credit card numbers or personal information online when they take a survey, but come to accept the practice a few months later. 3. Respondents are accurately conveying their present beliefs when they take a survey. It's common knowledge that people sometimes lie on surveys, or under-report activities they are ashamed of. However, even when people are trying to accurately convey their present beliefs, they may fail to do so. In particular, we tend to think of our personalities as uniform over time and place, but many of us adopt very different personas when we spend time with our family, or with our friends, or with our colleagues, or when we are on our own. A view we reveal on a survey may not reflect the view we act on later while partying with friends. 4. What someone says accurately reflects what they will do. This belief is questioned frequently today as big data enables us to actually track the difference between saying and doing. In certain cases, it may turn out that basing predictions on past actions rather than opinions produces more accurate results. In markets that remain constant over a long period of time, it may be unnecessary to question any of these principles. For instance, a mere correlation between what people say and an increase in sales might be all that is needed for an incremental gain, and no one may care to think any more deeply about why it's the case. However, as soon as contexts arise when the principle of continuity does not hold, companies and whole markets can be led badly astray if they merely follow past correlations. In these situations, as Jobs notes, respondents may very well not know what they will want. Yet, even in the most disrupted markets, where there are many discontinuities at the surface, there may be underlying factors that do not change, and therefore at deeper levels the principle of continuity can still hold, and research still has something to say. First, it forces us to articulate and address the most important assumptions we are making. Often, we are implicitly assuming things that will prove to be false. Identifying the assumptions before conducting research allows us to explicitly test them. Second, once we have identified a broader range of assumptions, we may be led to reconceive the range of possibilities we need to take into account in our questions and in the subsequent analysis. For instance, we may determine that a particular assumption does not hold in general and thereby identify new segments. These different segments may have different needs and decision-criteria. Third, it can lead us to identify important outliers that do not necessarily conform to our expectations. If we think that a factor is essential, and it turns out to be false for a small number of respondents, this may be a cue to talk further with those individuals. Perhaps they are anticipating the next big trend in the market. Fourth, it makes us think more deeply about the enterprise we are undertaking. Part of this comes from the fact that good research leads us to ask "Why?" questions that we may not have even thought about before. Analyzing decisions into components makes it possible to find continuities in conditions of uncertainty. Moreover, when we have the whole framework of assumptions and possibilities available, it then becomes possible to track underlying factors that do change through proxies and analogical trend analyses. Implementing this approach well requires a different mindset and a broader range of skills than most standard market research companies offer. Identifying assumptions requires being able to break things down into their components like an engineer or analytical philosopher. Exploring possibilities and outliers requires a certain openness to possibility characteristic of design-thinking approaches. Thinking more deeply may require additional skills such as big-data analysis, statistics, expert interviews, or ethnographic studies. Yet, all of these approaches can be incorporated into a research strategy. Many skills may be required, but great consultants and entrepreneurs often bring together many of these research skills. I'm thinking of when Orit Gadiesh talked to customers and metallurgists when she introduced a Bain client to continuous casting techniques in steel manufacturing. Or, when survey data led Howard Moskowitz to discover that there was no perfect recipe for Prego tomato sauce. 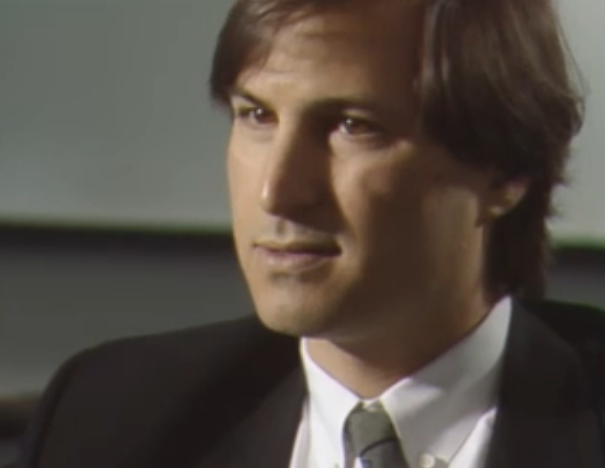 Steve Jobs, especially, shows the passion of a good researcher. This is quite apparent in his interviews in which he enthusiastically discusses quantifying data, visiting 80 automated manufacturers in Japan to understand automation, or revising products after observing people using them. People can bring about the future through research, albeit of a non-standard type. This much may be obvious. However, what might not be obvious is that even the most humble research tools can benefit from this approach. An online survey constructed to test hypotheses about decision factors can tell you not only why your customers make the decisions they do, but also can help you make better predictions in uncertain contexts. It turns out Steve Jobs didn't like market research when introducing non-incremental changes, because he was a great researcher himself. According to his own account, the secret to his success in business was asking the right questions and not settling for status quo responses. Unless you have the luxury of being in an industry without innovation or disruption, you and your research company shouldn't settle for the status quo either. By @jfhannon, CEO at Justkul Inc., a research firm focused on the needs of strategy and private equity. Contact Privacy © 2019 Justkul Inc.